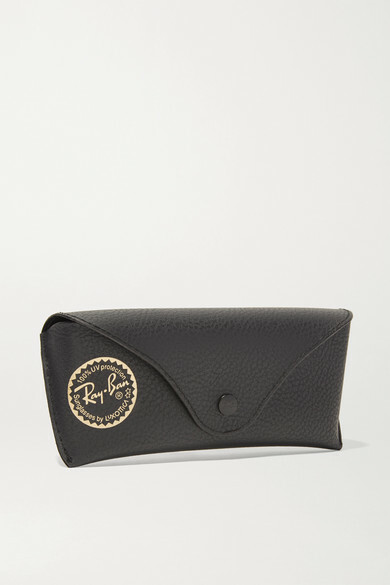 Ray-Ban's sunglasses are a cool, contemporary choice for vacation or summer days in the city. 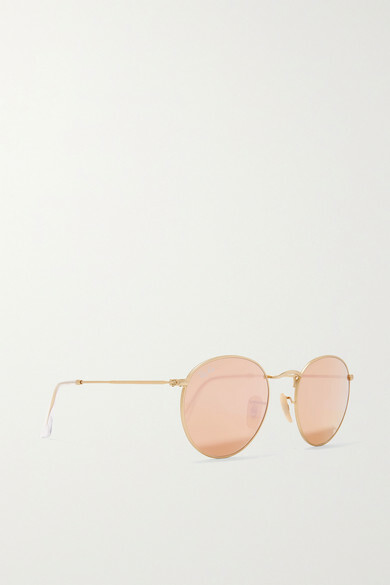 They're crafted from gleaming gold-tone metal enhanced by pink mirrored lenses. 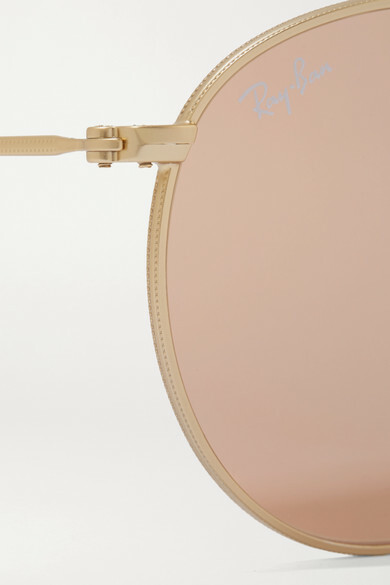 The round-frame silhouette is particularly flattering on square faces. Shown here with: Chloé Top, Chloé Blouse, Chloé Necklace.